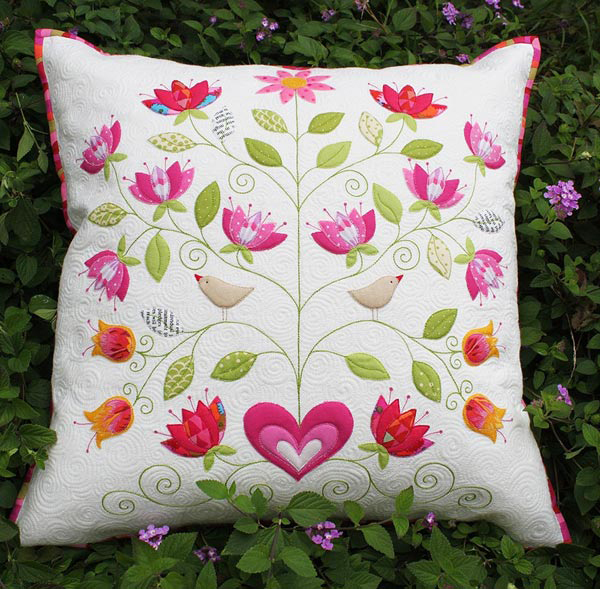 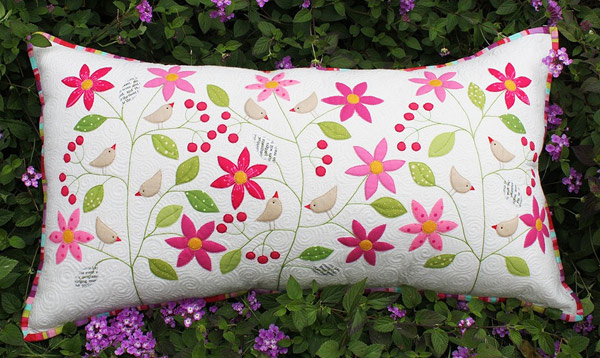 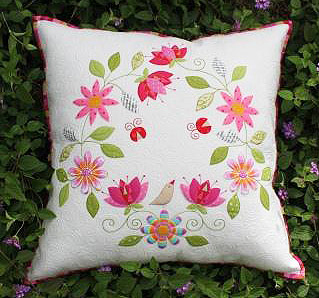 These delightfully feminine designs use raw edge applique and a simpified method of trapunto the create finished projecs that are sure to delight. 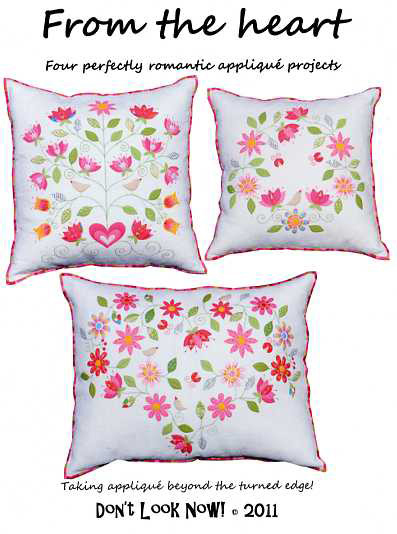 The projects can be made up as individual cushions as shown or why not frame them for a quick to finish, impressive gift. 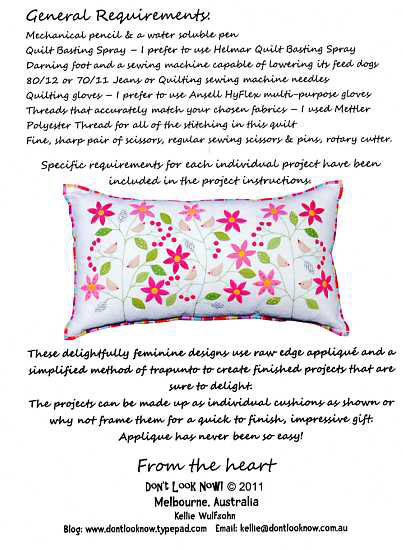 Applique has never been so easy!